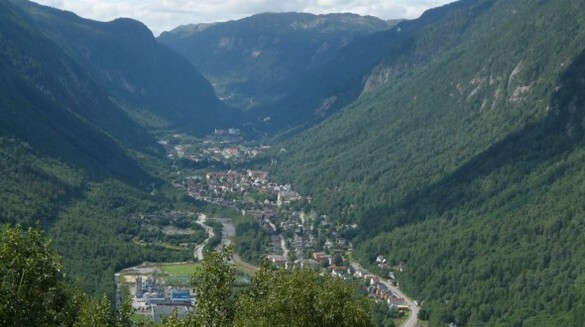 Rjukan is a town located in the southern county of Telemark in Norway. For 5 months of the year it is cloaked in darkness, with no direct sunlight making it past the mountain peaks and into the valley where it is located. However, that is set to change with the introduction of large mirrors sat on top of the surrounding mountains. 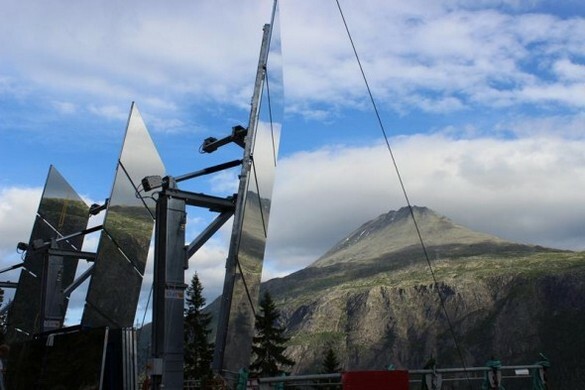 Three sets of mirrors have been positioned on mountain peaks that will be controlled by a computer system located in Rjukan. Power will be supplied mainly from solar and wind farms, and will allow the mirrors to rotate to ensure the highest amount of sunlight is reflected down into the valley. The mirrors won’t light up the entire town, though. Instead, an area measuring 2,150 square feet in the town square will be bathed in sunlight. Anyone needing a hit of daylight can just walk into the area and catch some reflected rays. It may sound like an “out there” idea, but it was actually first considered back in 1913 by Sam Eyde who created the company Norsk Hydro. A lack of technology to support the idea at the time meant it never happened, and instead he later built a cable car there in 1928. The surface area of the mirrors will total 538 square feet and the installation cost around $850,000 to complete. That’s quite expensive to redirect a bit of sunlight, but the residents of Rjukan will probably tell you it’s worth it having suffered year after year of unending darkness. The town is already a tourist location, and such a unique feature will surely only attract more to the area during the winter months, meaning more money coming to the area. It won’t be long before we get to see how well the mirrors work. The three reflectors have already been installed and the computer system setup. Rjukan loses its natural light in September, at which point the system will jump into action for the first time and we’ll hopefully get to see video footage of exactly how it looks after that.